Ticket price: 1200, 1600 and 2000 din. They are METALLICA, most influential heavy metal band for almost 30 years and they will play at UŠĆE on 8th of May. Live Nation, Adria Entertainment and Arena Beograd proudly presents you best event of the year. METALLICA are coming back to Serbia and will perform “Black Album” in its entirety. The album contains songs such as Enter Sandman, Sad but True, The Unforgiven, Wherever I May Roam, Nothing else matters. The band will also perform songs from other albums, but it is “The Black Album” that will have the focus this evening in May. “The Black Album” reached number one in more than 25 countries and has sold more than 25 million copies worldwide. Album was released at 1991. without name but featured a black cover that gave him a.k.a name Black Album. Metallica is one of most influential metal bands in history. They brought thrash metal to the mainstream and in the process became one of the biggest bands in the world. With more than 28 millions sold albums, Metallica is fifth biggest-selling rock act. Since they formed in 1981, San Francisco Bay Area band Metallica have gone from an underground heavy metal band to one of the most successful acts in the world, with an intensely loyal fan base. Sales of Metallica’s albums (including 9 studio albums, and one e.p.) are over a 100 million copies worldwide (with over 65 million coming in North America alone), and have earned gold and/or platinum certifications in over forty countries. The “Black Album” has earned the prestigious RIAA Diamond Award (for sales of 10 million copies in the U.S.). Metallica’s latest release, “Death ” Magnetic” charted at #1 in 32 countries, and has sold 28 million records worldwide. In addition, a live box-set release (containing over eight hours of live music and video), retailing at over $80, has sold over 1 million units worldwide, making it the biggest selling box-set of its kind in history. Metallica have garnered numerous awards and accolades throughout the world over their career, including 9 Grammy Awards, 2 American Music Awards, 2 MTV Video Music Awards, a VH-1 Award, the ESPN Action Sports and Music Artist Contribution Award for 2001, over 30 California Music Awards, the 2004 NARAS San Francisco Governor’s Award, the MTV: ICON award of 2003 and most recently, the ASCAP Creative Voice award for 2004. The documentary film, Metallica: Some Kind of Monster, 3 1/2 years in the making and directed by acclaimed filmmakers Joe Berlinger and Bruce Sinofsky, premiered at the Sundance Film Festival in February 2004. It was released theatrically in July 2004. By the end of the year, SKOM was nominated for several critics choice awards and appeared on many “Top 10 films of the year” lists. The film won “Best Documentary” at the 2005 Independent Spirit Awards. 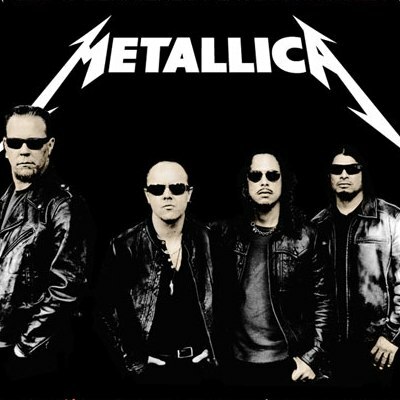 In the spring of 2009, Metallica received 4 Grammy nominations for Death Magnetic (winning 2 ); released their own Guitar Hero game (the aptly named “Guitar Hero Metallica”) and was inducted into the Rock and Roll Hall of Fame in their first year of eligibility. When it comes to touring, there are few, if any, bands who deliver live the way Metallica do. Their shows, which began in clubs and garages in the early eighties, are now selling out in arenas and stadiums throughout the world, and continue to be among the most intense, powerful and visually stimulating concert experiences ever delivered. The most impressive achievement that bears mentioning is the fact that Metallica continue to be a strong attraction in the touring world; a truly rare feat in today’s mercurial entertainment business, where fans often change allegiance to bands as often as they do hairstyles. Ticket price: 1200, 1500 and 1800 din. The group “Legends” was founded in Belgrade in 1988, when, and released his first album. The first concert season began on 19 groups January 1995, concert in Belgrade’s Sava Center and has held 47 concerts in the same hall. The tradition continues, and every new concert season begins in the Sava Center, then a group of “Legends” continues with a tour of cities in Serbia and abroad. To date, a group of “Legends” was held over one thousand and three hundred concerts in Serbia, Montenegro, Macedonia, Bosnia and Herzegovina, Hungary, Poland, Cyprus, Sweden, Slovenia, Switzerland, Austria, Canada, Germany, Australia, USA and Russia . Jubilee – the thousandth concert was marked by a celebration 05.februara 2005 the twentieth anniversary of the group “Legends” was marked by February 2008, in the Great Hall of Sava Center. The group “Legends” 2012 celebrates a jubilee, marking 25 years of successful work and the important anniversary will be celebrated by a magnificent throw to his audience at the Sava Center concerts scheduled for the 4 and 14 in February 2012. 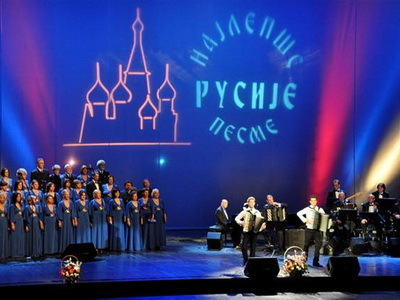 Jubilee marks the work under the slogan “… to meet the fiftieth concert at the Sava Centre …”.